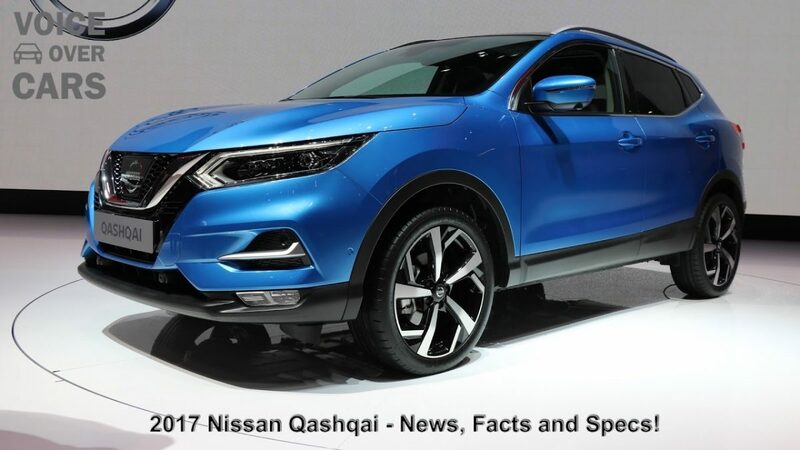 It’s been over 10 years since Nissan first launched the Qashqai, 2017 will see its latest update. The exterior design now feels much more stylish, especially from the front. In particular, the lighting design is much more distinctive than its predecessor. Daytime running lights and taillights have also been redesigned and the result looks much more modern and convincing. The new Qashqai comes with aluminium rims from 17 to 19 inches. The new styling of the Qashqai is continued in the interior. Careful material selection and advanced technology make the Qashqai even more appealing. There’s a new multifunction steering wheel and the NissanConnect infotainment system. There’s an optional 7 speaker BOSE Soundsystem. The new 2017 Nissan Qashqai even gets two new exterior colours! Vivid Blue, which we’re showing you here and Chestnut Bronze. The Nissan Qashqai can come with a wide range of assistance systems like Emergency Brake Assist, Cross Traffic Assist, Parking Assist, Blind Spot Assist, Lane Keeping Assist, Road Sign Detection and many more. From summer 2017, the new Nissan Qashqai arrives at the dealers, then we’ll let you know about what engines are available and what you should be paying for them.